Vermicompost is without a doubt the best fertilizer in the world. Non-toxic in any way to plants and is an excellent soil conditioner. Due to its biostability, prevents fermentation or putrefaction. 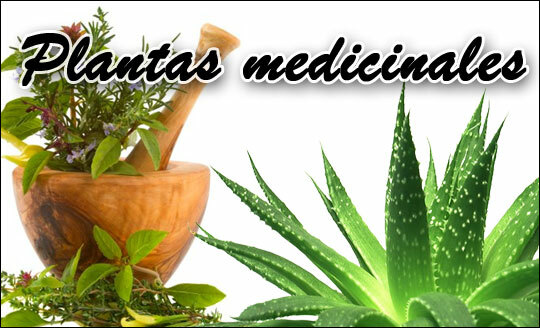 Its enzymatic and bacterial contents make it easily and quickly absorbable by the roots of the plants. Its richness in NPK (nitrogen, phosphorus and potassium) and its high level of organic matter make it a good moisture retainer, thus satisfying the needs of our plants. Visit our website and discover the courses we have prepared for you. Mini gardens, medicinal plants, culinary plants and two courses for bonsai (initiation and advanced). We also wanted to let you know that we are working on a new edition of our magazine, with a Mothers Day special and a reportage about the 3rd Open Doors Day of Grupo Hogar y Jardín, which will take place on 3, 4 and 5 May at our facilities. Due to the great success in the past season, Garden Center Navarro offers once again a great variety of bulbs, among them varieties like tulips, iris, anemones, hyacinths, daffodils … and more! Using this type of culture, we can have quick results in our garden. Bulbous plants are characterized by their leaflessness in winter, but when spring comes they sprout again. We have a wide range of bulbs, prepared with all the information necessary for planting: quantity, time of planting, flowering … Be sure to visit us and see our wide range of bulbs. From now on it will be easier to cultivate on our terrace, balcony or in our garden. 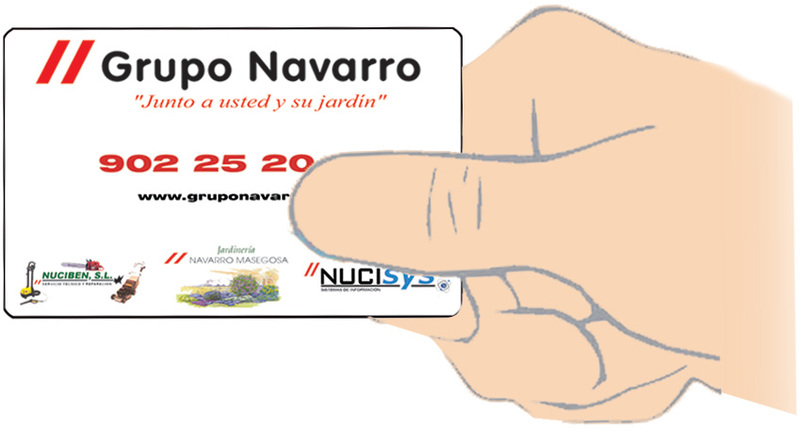 Garden Center Navarro launches an economical and simple to use, “Urban Ecological Garden Kit”, consisting of everything you need: cultivating table, substrates, soil enrichers, tools, seeds, fortifiers and phytosanitary products. We also include an urban ecological garden manual, which explains you easily the processes and techniques to obtain a magnificent garden. As always, we at Garden Center Navarro, want to keep you informed. This time some advice on how to prevent the Pine Processionary. We can anticipate there appearance by spraying with Belthirul, a 100% organic product. 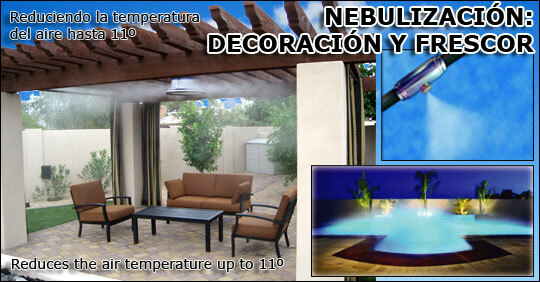 We spray in the months of September and October, before the appearance of the hanging “tents”. 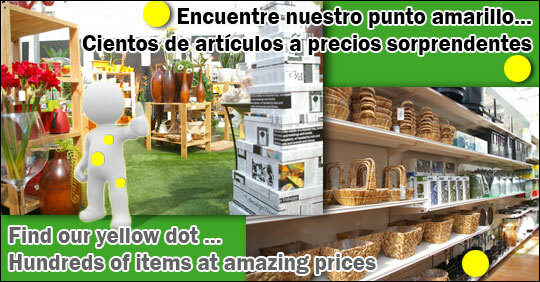 Discover our products with the yellow dot… At Garden Center Grupo Navarro, we have marked hundreds of items at amazing prices with a yellow dot. Biodiversity in orchards and gardens. Reproduction and repopulation of native trees. In addition to the information provided on our website, and in order to make our courses know to a broader public, Grupo Navarro has made some significant changes regarding our information point at La Marina Shopping Mall (1st floor next to Celio). 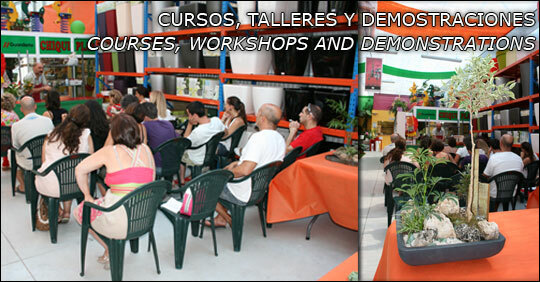 From August 31 it is an information point exclusively for our courses and workshops. Every Friday and Saturday we will be happy to assist you here personally. You will be able to see demonstrations of various workshops. Do not miss the opportunity, visit us there. You can also sign-up for our free client card and take advantage of discounts at our Garden Center and get informed through our monthly newsletter. 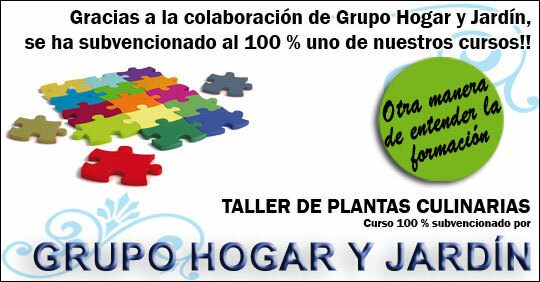 The companies of “Grupo Hogar y Jardin” have subsidized the course for culinary plants a 100% for all its customers. This means that for all customers of the companies joined in Grupo Hogar y Jardin the course will be free. Whith the objective to make this course available to the maximum number of students, we have programmed multiple dates and times. The different models of nebulization, both professional and consumer, offer great possibilities. From the simple decoration of terraces and garden areas to the pleasant feeling of freshness that micro-drops give us (e.g., pergolas, gazebos or balconies). 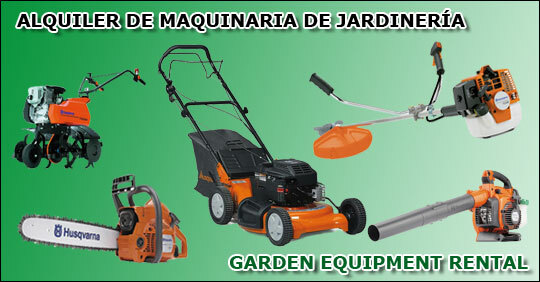 At our Garden Center we offer all our customers the possibility to rent a variety of garden machinery for professional and home use. Our technicians will help you choose the one that best suits your needs. Enter and discover the new programming we have prepared for the months of August to November this year. 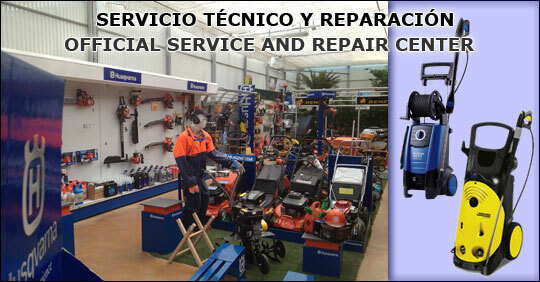 Visit us at Garden Center Grupo Navarro. This summer we have new and colorful natural plant arrangements, ideal for decorating our spaces, both interior and exterior. Original ideas that will surely impress. 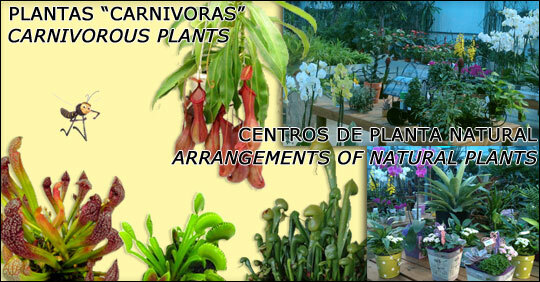 We also curious plants “carnivorous” feeding on insects, will give an exotic touch to our home and help you fight those pesky mosquitoes this summer. 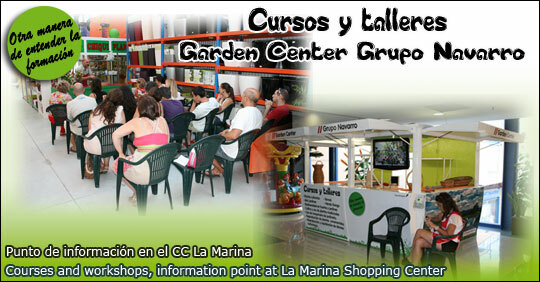 Visit our Garden Center and discover all our news. 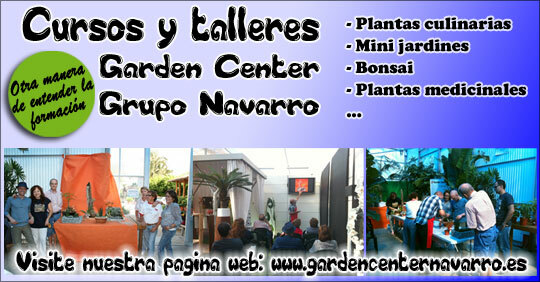 At Garden Center Grupo Navarro we continue giving you more. You no longer need to leave home to enjoy and unwind. Create a different, refreshing … space, ultimately your own paradise. Come see our new collections of orchids and tropical species that surely will meet your needs and give your garden a touch of distinction. Also new at our center, garden furniture of the most recognized brand in Europe. Kettler furniture brings us comfort and durability, the perfect complement for any garden. You can enjoy temperatures of up to 11° less, with our new water nebulization kits. For your entertainment we now have a new Pitch & Putt kit available. Easy and quick to install, for family fun or to practice your putting. In our renovated store you will find everything for the decoration for your garden or terrace. with new and varied products, pots for both indoor and outdoor, furniture, glassware, metalware, artificial plants … and for those who like the latest trend, we also have all kinds of products to create, nurture and maintain ecological urban gardens with lots of seeds, substrates, pesticides and everything else you need to have your own garden at home.